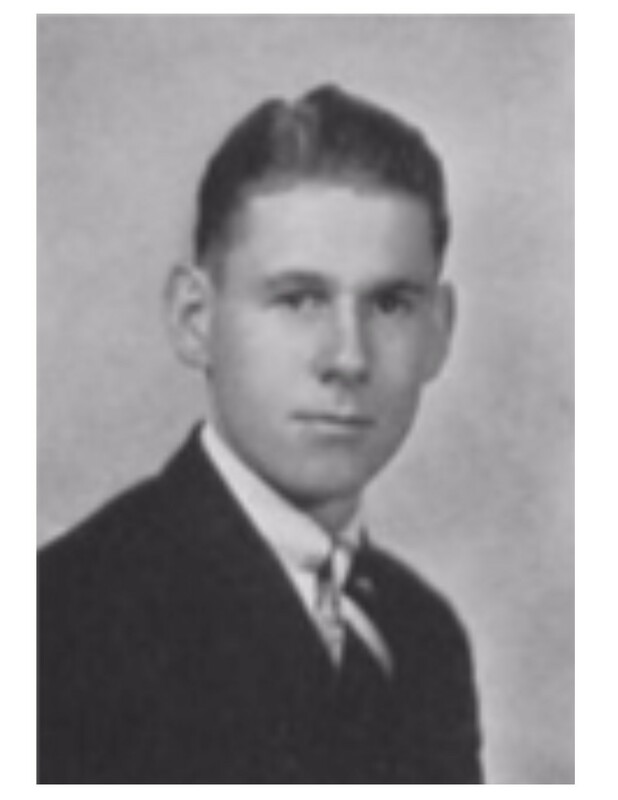 Edward J. Craig II, died on July 18, 2018 in his 98th year in Newport, RI. 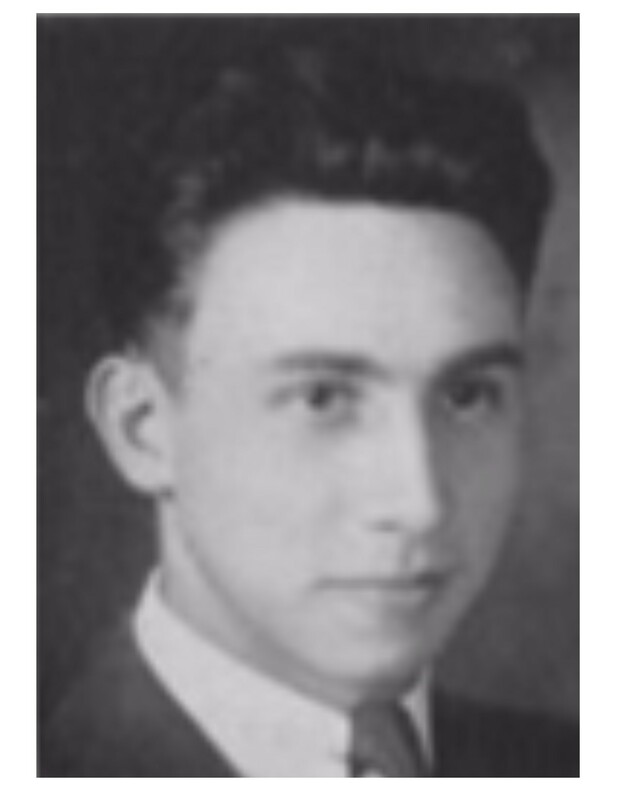 Edward was born in New York City on August 18, 1920 and moved to Santiago, Chile as a young boy where he spent 6 years. After he attended the Williston Academy in Easthampton, MA and the Scarborough School-on Hudson, NY, Edward attended the Musical institute of Art and then matriculated at Columbia University in 1939 and also acted in at least one Broadway production. His studies were interrupted by the start of WW2 and he joined the US Marines in 1941 as 1st Lieutenant Marine Infantry (1st Battalion) and lead one of the first platoons to land on the beaches of Guadalcanal on August 7, 1942 where he was wounded and received a Purple Heart. Edward was later promoted to Captain and became aide-de-camp for the Commanding General of the USMC in the Pacific in Melbourne, Australia until 1945 when he was decommissioned. 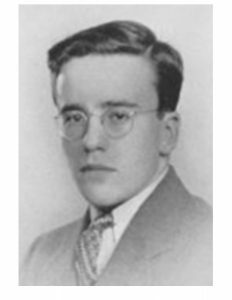 Edward then started working in a antiquated book and manuscript business in NYC and graduated from Columbia University in 1948. He completed graduate courses at Brown University and earned an MA degree in English and Spanish literature from URI. He then embarked on a teaching career at the Portsmouth Priory, Brown University, the Newport Naval College in Newport, as well as a number of public schools including Thompson Junior High School in Newport. Edward taught Spanish, French, Latin and English Literature over the years in different capacities. Edward created an antiquities business from home from 1969 – 2003 and was an avid amateur artist of painting and music. Edward is survived by his wife, Valentine Vernon Craig and nine of his ten children Grenville, Vernon, Valentine, Guy, Diana, Gloria, Franklin, Francesca and Marion. His second son Edward J Craig III died in 1976. Alan A. Roberts, of Chatham, NJ, passed away April 19, 2018. He is survived by his sons, Jeffrey ’68 and Christopher ’69. R. Craig Campbell, age 100 years, of Plymouth, MA, died at his home on Tuesday, April 10, 2017. He was the husband of the late Margaret “Margi” Campbell for 72 years, and the son of the late Robert Newton and Vivian (Zeal (Savini) Campbell. Born in East Providence, Rhode Island, Craig lived in Canandaiqua, New York for many years before moving to Plymouth in recent years. He had an extensive career in different businesses, retiring as CEO from the Welch’s Food Company. 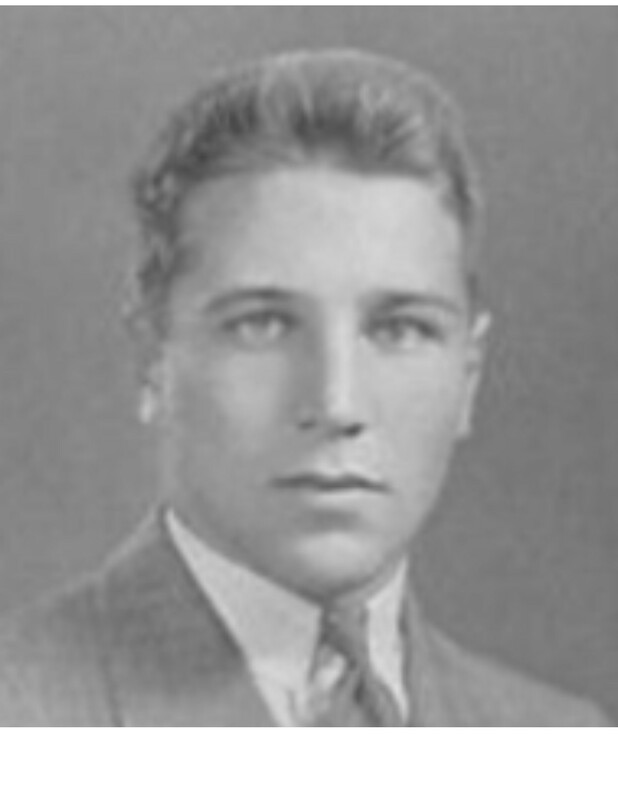 Craig volunteered to the Army Draft Program in 1940 at the rank of Private. During his time overseas during World War II in the South Pacific war zone, he was awarded an Officer’s Commission as a 2nd Lt retiring in 1945 at the rank of 1st Lt. He was a member of the American Legion Post #40, the American Management Association, the Rotary Club and the Union League Club of Chicago, Ill. Most important to Craig, was his family. He has touched many lives. He is survived by his children, Bruce Carter Campbell of Canandaiqua, NY, Scott Fletcher Campbell of Martha’s Vineyard, Glenn McLeod Campbell of Saratoga Springs, NY and Dausha Cherie Campbell of Plymouth, 17 grandchildren, 11 great grandchildren, his sisters Vivian Stoll and Barbara King and 4 nieces. He was the father of the late R. Craig Campbell II (’63) and Colin Whipple Campbell (’65). Richard Hurst Pierce died January 5, 2017 at his home in Lakeville, PA.
His wife of 63 years, Connie, predeceased him in 2005, and he is survived by two of his three children, three grandchildren and two great-grandchildren. 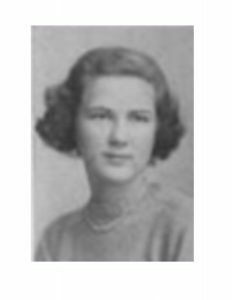 Ethel Ham “Peggy” Palmer died peacefully at home on September 21, 2016 at the age of 100. Born to Charles and Ethel Ham in Flatbush, Brooklyn, she had two brothers, Charles and Ralph, who both predeceased her. Her husband, Dwight O. Palmer, Jr., predeceased her in 1987. She is survived by her nieces, Susan and Carolyn. 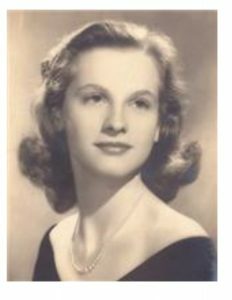 Peggy graduated from Jamaica High School in 1933. 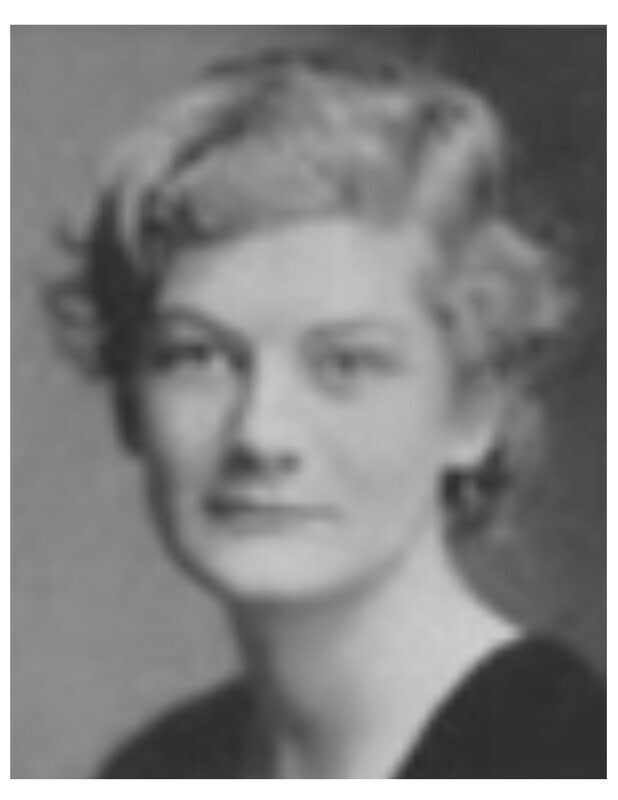 A 1937 graduate of Smith College with a degree in Sociology, Peggy then attended the Katherine Gibbs Secretarial School. As a legal secretary at Western Union, she met her late husband, a public relations executive, and married in 1951. They first resided in Ridgewood, NJ, and then moved to Wyckoff, NJ, in 1954. Peggy was a member of the West Side Presbyterian Church, the Wyckoff Women’s Club, the Valley Hospital Auxiliary and volunteered for The Seeing Eye, training eight puppies. Peggy loved playing bridge with her friends and UpWords with her nieces. 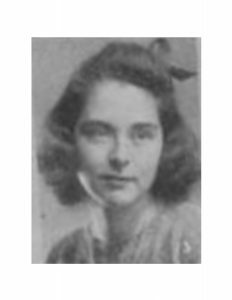 GREENFIELD – Esther Winn Krebs, born August 2, 1920, died peacefully at home on July 3, 2016, just one month shy of her 96th birthday. 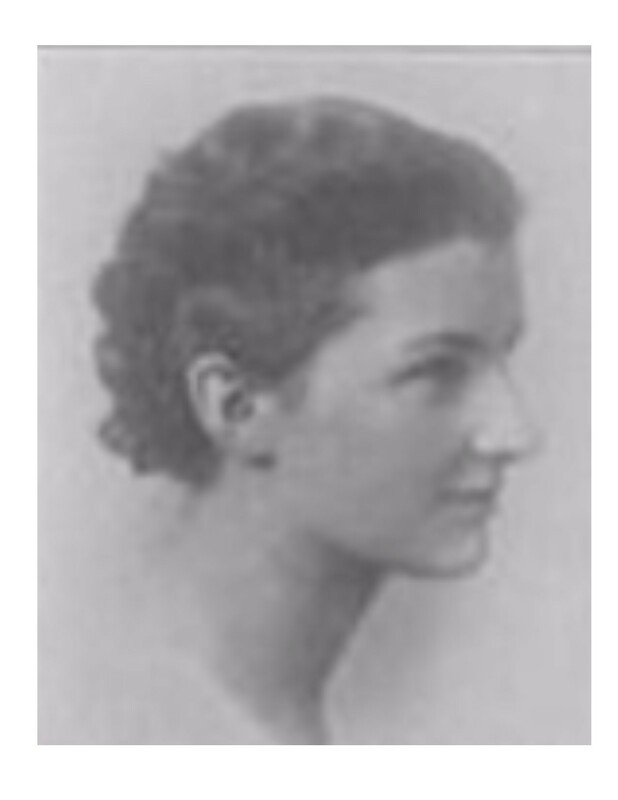 She was born in Karuizawa, Japan, the daughter of Presbyterian missionaries Rowena (Hudson) Winn and Merle Winn. Esther lived in Kanazawa, Japan until she was seven and then returned to the United States when her father became ill. Upon his death, her mother settled with Esther and her two brothers, Hudson and Peter, in Northampton, MA. Esther graduated from Northampton School for Girls (now Williston – Northampton) and then went on to Smith College, graduating in 1942 with a degree in economics. On August 8, 1942 in Carmel, CA she married her true love, Max Vance Krebs. He was a Princeton University honors graduate, whom she met during her freshman year of college while visiting her mother in Cincinnati, OH. During World War II, the couple lived in Oakland, CA where Max was stationed with the army. After the war in 1947, Max was accepted into the U.S. Foreign Service and for the next 29 years Max and Esther served as a “”diplomatic team””, living and working in 9 different countries. Their first post was Montevideo, Uruguay where their daughter Marlynn was born just 3 months after they arrived. From there they went to Bogota, Colombia and Antwerp, Belgium. In 1955, they moved to Bethesda, MD for a “”home duty”” stint at the Dept. of State. This was where their son Timothy was born in 1957. Their home duty was extended due to Max’s assignment as special assistant to Secretary of State Christian Herter. In 1961, they returned to their diplomatic life abroad, moving to Manila, Philippine Islands, then Rio de Janeiro, Brazil, followed by Guatemala City, Guatemala, then the Panama Canal Zone, Panama and Buenos Aires, Argentina. In 1973, Max was appointed Ambassador to Guyana where they lived in the capital city of Georgetown. This post was the culmination of their distinguished career. In 1976, Max and Esther retired from the Foreign Service and settled in the quiet golf community of Foxfire Village, NC, located near Pinehurst, NC. She was skilled at gracefully adapting to the nuances of a new culture, finding a new home, settling her family and setting up a household, all while learning a new language, which she did with almost every new post. She was an accomplished hostess, conversationalist, event planner and cook. Entertaining was a primary way that diplomats established relationships with important people in the country. Esther planned events for over 500 people, often teaching the cook how to prepare special dishes. She was accomplished at putting people at ease and her conversations with dignitaries showed her knowledge of the country, the culture and current events. She was known for her honest and intelligent interactions that showed care and respect for other values and cultural backgrounds. Esther was also an excellent leader, organizing and running many large charity events that benefited the infrastructure and those most in need in the country where she was posted. Her leadership style was to empower the people she worked with and build their skills and competence. In her retirement years, Esther continued her life of service. As part of the Woodrow Wilson Fellow program, Esther and Max visited 9 small liberal arts colleges for a week at a time, talking with students about the pleasures and perils of living and working overseas. She loved the arts and served on the board of The Arts Council of Moore County in Southern Pines, NC for more than 10 years. She also served as its president for several years. She was instrumental in supporting the start of her local North Carolina chapter of NAMI (National Alliance on Mental Illness) and was its president for several years. Esther was a multi-talented woman with many interests that filled her life. She was an accomplished singer and performer. She was a member of the Smith College Glee Club, sang with her church choir wherever she was, performed for charity events abroad and at home, and organized female barbershop quartets whenever she could. She was an excellent seamstress and knitter and made many clothes for herself and her family through the years. She loved the game of tennis and played it most every day in retirement. She was an avid and dangerous bridge player as many can attest. She loved to cook and when she retired she was thrilled to be able to finally grow her own garden! In spite of 29 years of travel, Esther and Max continued to have wanderlust and toured many of the parts of Europe and the Middle East that they had never visited. Through Esther’s love of art and her years of travel abroad, she was able to collect beautiful and interesting artifacts, art and furniture. Her home was like a museum. In 1998, Esther and Max moved to Belle Meade Retirement Community in Southern Pines, NC. In 2006, Max, her husband of 63 years, died after suffering from Alzheimer’s Disease for 9 years. During those very difficult years Esther was devoted to caring for him. In 2010, Esther moved back to Massachusetts to be with her daughter and son. She was very fond of saying that after traveling the world, she had now come full circle, returning to the home where she began as a young girl. Esther was an elegant woman who lived a rich and full life yet remained unpretentious and generous. She so often thought of others first. She was loved and admired by all those whose lives she touched, and she touched many. Once in reflecting on her life she said, “”It was exciting and rewarding while full of hard work, but as the Bible says ‘everything I have given, I have received a thousand times. '”” That was Esther Winn Krebs. Esther leaves her daughter, Marlynn K. Clayton and her husband Garry Krinsky of Greenfield; her son, Timothy Krebs of Greenfield; her grandson, Sasha Clayton of Washington, DC; and her favorite adoring grandpuppy, Frankie. In addition to her husband, she was predeceased by her two brothers and their wives, Hudson and Nancy Winn of Slingerlands, NY and Peter and Sylvia Winn of Cambridge, MA. Her family would like to thank Hospice of Franklin County and especially Debbie Piela for their care and support in these last months; the Eventide Singers for bringing Esther the peace and joy of music; and her wonderful caregivers from the Arbors, her devoted private care team, Linda Clarke, Shirley Underwood, and especially, Nancy Wheeler who took care of her with great love for 6+ years.